A warm up? Unwittingly, Bart Collins had just delivered a blow to the solar plexus of PGA Tour director Tim Finchem. The tour’s flagship event, with (at the time) golf’s highest purse, had just been publicly reduced to tune-up status. This was when the Player’s Championship was held in March, just weeks before the Masters, where Norman’s agonising, and ultimately futile courtship with the green jacket was played out annually like a Shakespearean tragedy on the world stage. Nevertheless, the idea that the “fifth major” should be viewed as anything less, clearly rankled with the PGA Tour, and it’s hard to imagine that the move to May wasn’t influenced accordingly. There’s no doubt about it, switching to May was a good move. The Players Championship fit nicely into the gap between the Masters and the US Open, providing a major event (if not quite a major championship) every month from April to September with the culmination of the Fed-Ex series. However, the proposed re-scheduling of the PGA Championship to May and the Players Championship back to April has re-awakened the fears of the past. The only way to return to a March date, and not have the tournament viewed as a lead in to Augusta is to make it a literal, as opposed to a figurative, fifth major – an idea that is being played out in the media once more. Don’t get me wrong. I love Sawgrass. I’ve been a fan of the course ever since first experiencing it on World Class Leaderboard – an MS DOS computer game of the late ‘80s and early ‘90s. Does “looks like he hit the tree Jim” ring any bells? 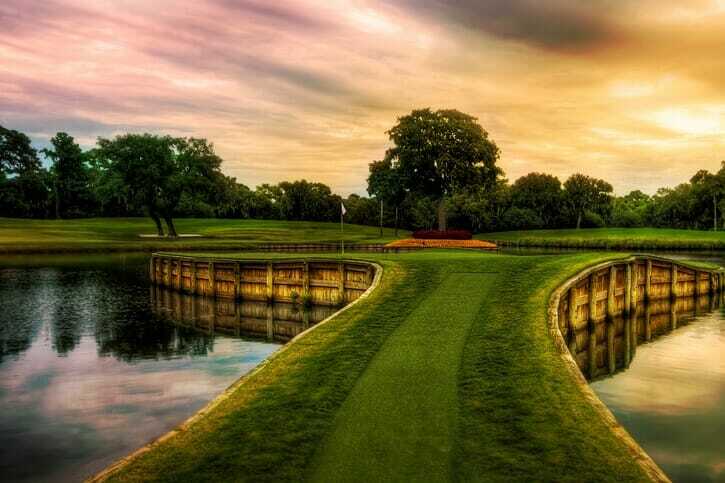 Anyway, TPC Sawgrass was one of the feature courses. It actually has all the ingredients for a major championship; an incredibly strong field, an enormous purse, a superb course featuring iconic holes and a veritable who’s who roll of honour. So why will it never be a major championship? Well, the four main reasons are easily identifiable. They are Augusta National, the United States Golfing Association, the Royal and Ancient, and the Professional Golfers’ Association of America. The four bodies that run the majors are unlikely to be in favour of anything that could diminish their own prestige in any way. And be in no doubt, the addition of a fifth major would do exactly that. The PGA and the Masters would be particularly opposed to the idea. The fourth major in terms of scheduling and longevity, the PGA Championship would be in danger of falling to fifth place in terms of desirability down the road, and Augusta National’s place as the only annual staging of one of golf’s grand four would be no more. In addition, it would no longer be the first major on the calendar, which is part of the reason that Masters excitement reaches fever pitch on a yearly basis. If the PGA Championship is moved to May, then PGA Tour commissioner Jay Monahan faces a dilemma. Cling to the May date and fight a losing battle with the PGA Championship? Move to March and risk becoming a tune-up again? Move to August and be at the mercy of the scorching heat, torrential downpours and electrical storms that sweep through Florida and the Southern United States? In this battle of the big dogs, the Players Championship’s teeth don’t quite carry the same menace. The fifth major will ultimately, I fear, slink back to March with its tail between its legs.